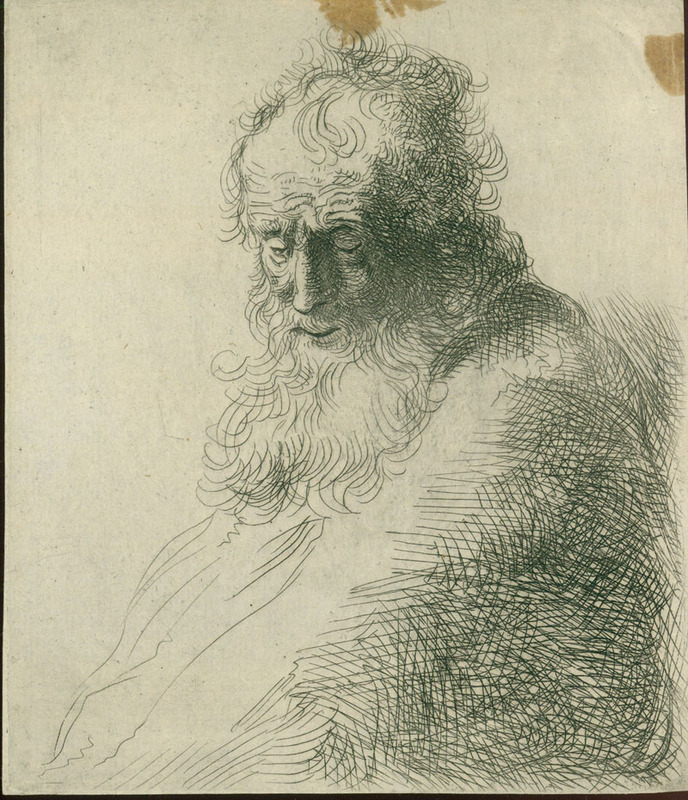 Michael Willmann (1630-1706) Three-quarter length portrait of an aged bearded man, gazing downwards,after Rembrandt, etching c. 1660/70, on fine laid paper, 16,5 x 12,8 cm, 6 1/2X5 3/4 inches, copy in reverse after an etching by Rembrandt (B. 260, New Ho. 84). 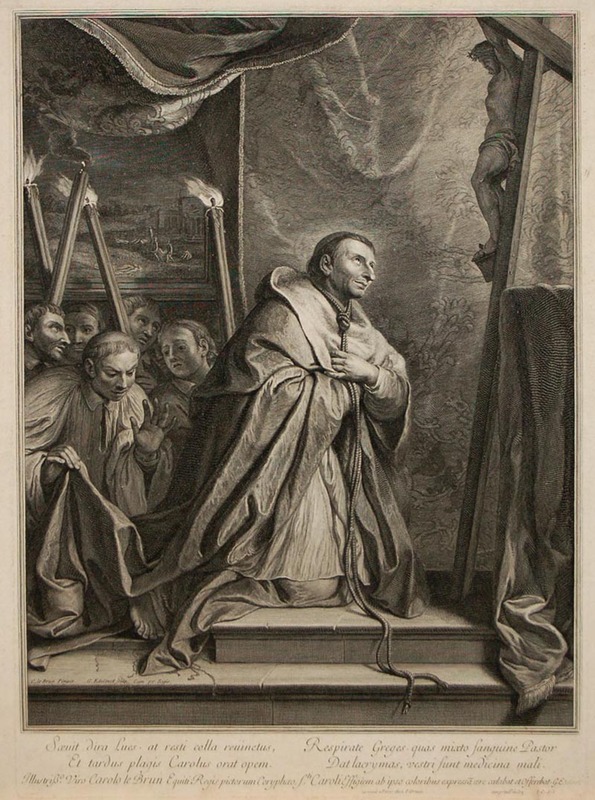 The etching was listed as a work by the Rembrandt-school (Rovinski Elèves 31, Bartsch-Claussin II. 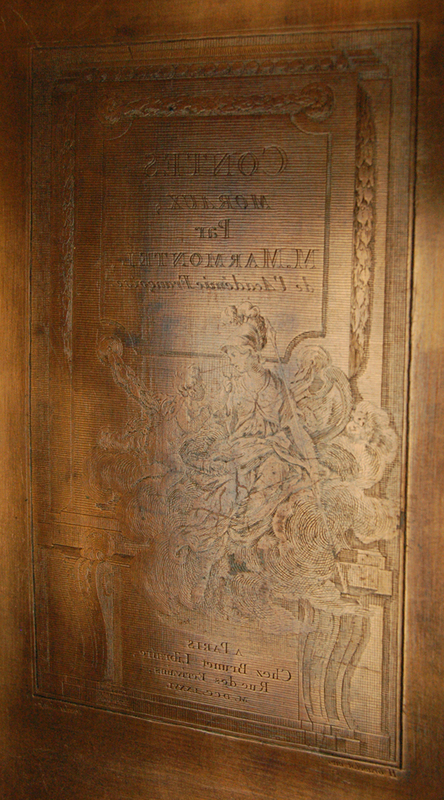 111.31); in New Hollstein the sheet is attributed to Michael Willmann now, who was a collaborator in the studio Rembrandt. Very rare. Thread Margins, two stains in the upper center and right edge, apparently old glue residue. 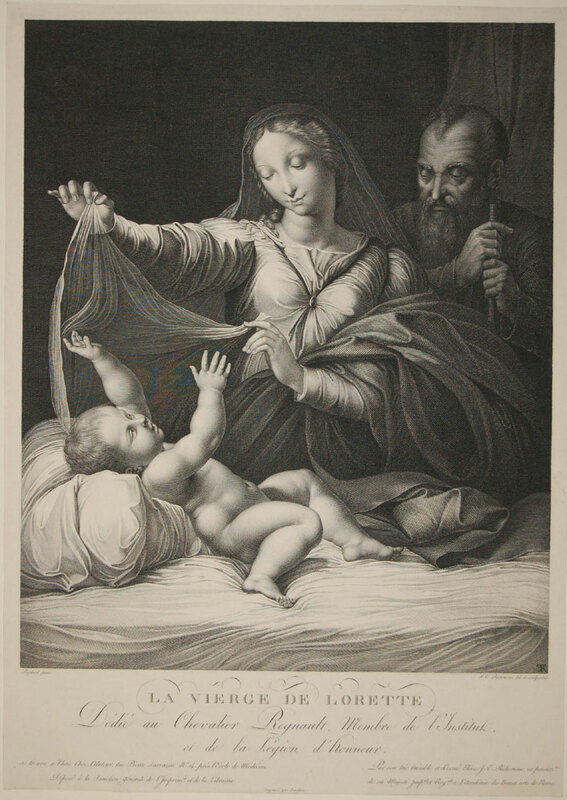 Engraving after Correggio; Fogg Museum provenance, JW Randall Coll #13030; image size 13 1/2 x 18 11/16 inches; plate size 17 3/4 x 13 1/2 inches; paper size 24 x 18 7/8 inches. 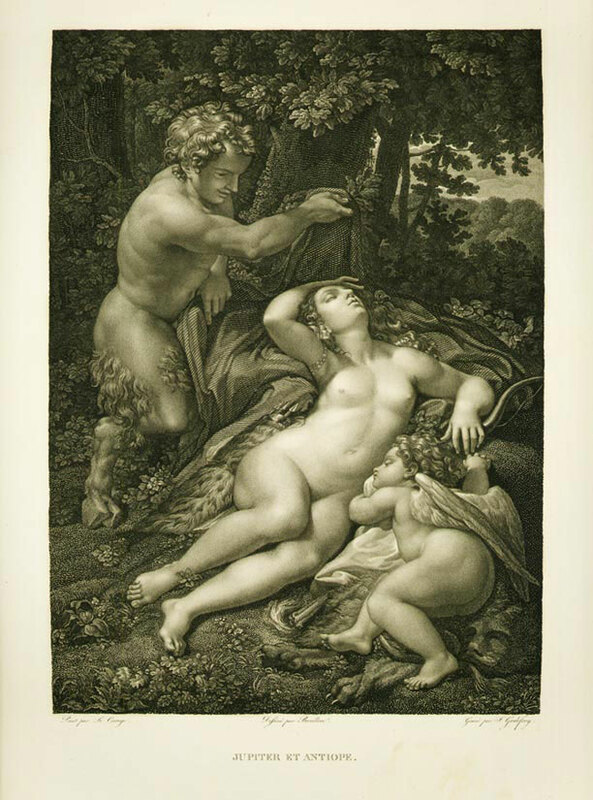 Engraved copper plate after Gravelot, used for the title page of the book "Contes Moraux" by Jean-François Marmontel (1723-1799). 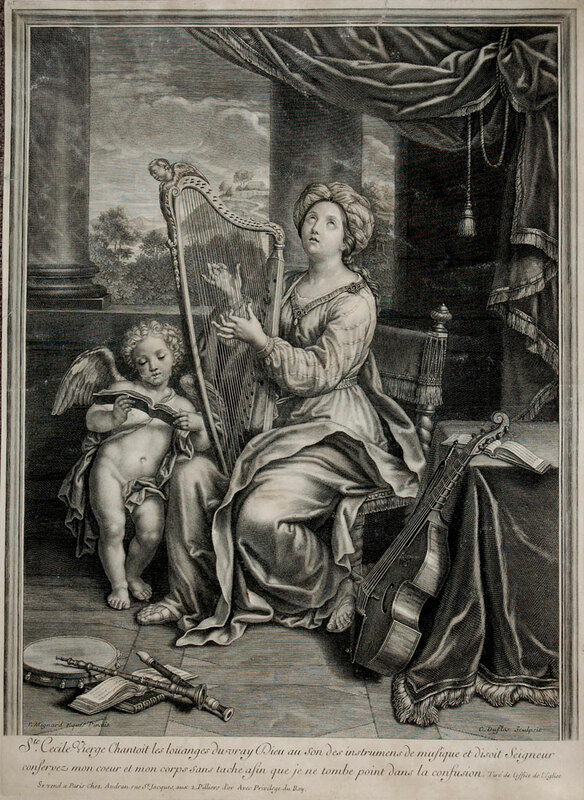 Engraved in 1776 by Antoine-Jean Duclos (1742-1795) after the original design by Gravelot (1765). Engraved area 5 x 3 inches, full plate dimensions 8 1/2 x 5 3/4 inches. 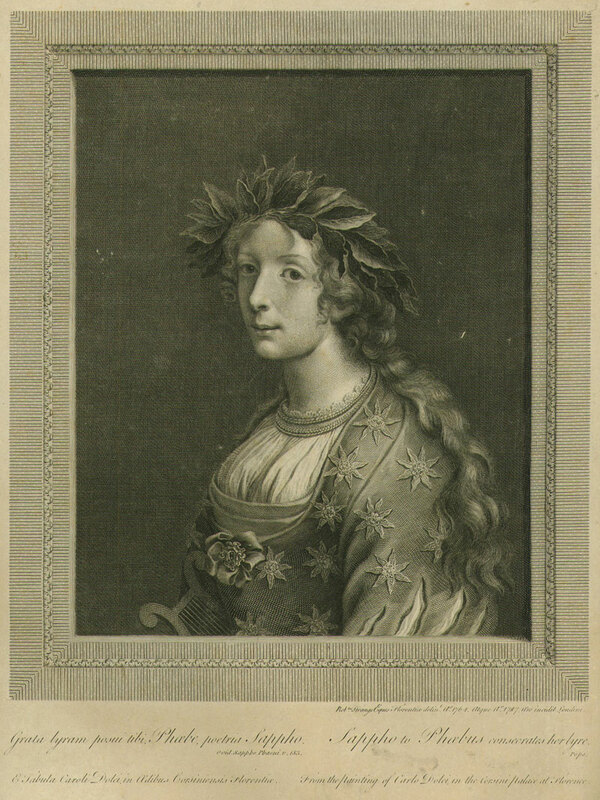 The full text reads: "Contes Moraux, Par M. Marmontel, de l'Academie Francaise. A Paris / Chez Brunet Libraire, Rue des Ecrivains. M.DCC.LXXVI." 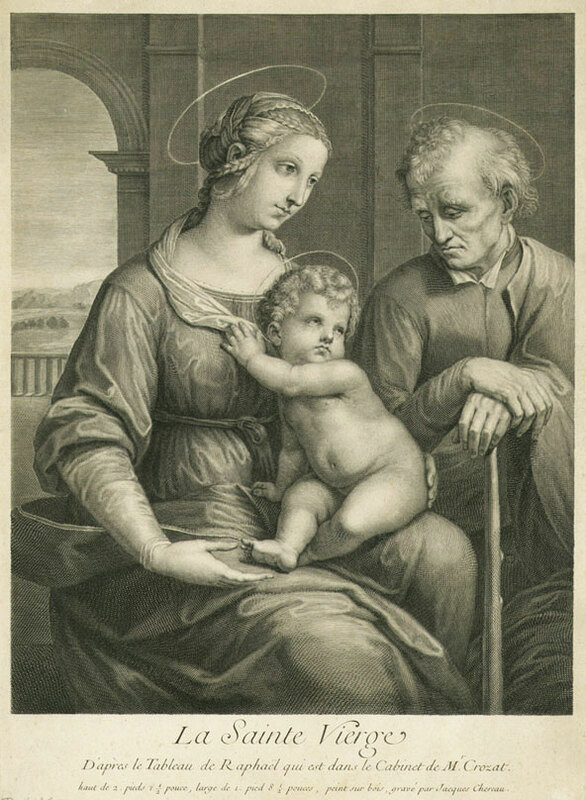 This 17th century engraving by the Dutch artist, Cornelius Visscher, measures 9 7/8 x 8 1/2 inches, c.1655, on laid paper with partial collectors seal on back. "A.V. Oftade pinxit et excud., C. Visscher fecit aqua forti. and Ger. Valk Excudit" printed on bottom margin. Born into the city of Haarlem during the early decades of the 17th century where a diverse artistic community prospered, Visscher became one of the most accomplished and celebrated printmakers of the time.